We love oysters so much that we ‘re teaming up with Tony’s Seafood in Oregon City to bring you the Willamette Valley Oyster-Fest at St Josef’s Winery. Complete with local oysters by Tony’s crew along with their famous chowder and other delectable items. New releases of wine and specific wine pairings will be available as you enjoy the tiered rose garden at the pond and live music. 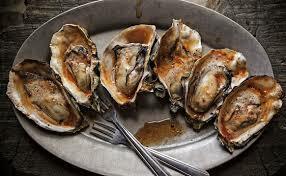 The Willamette Valley Oyster-Fest takes place on Saturday June 16th, (Father’s Day Weekend). Seafood, Oysters & Music will be available at the winery from 1pm -5 pm. There is no cover but a $5 souvenir glass is needed for beverages. Winery is Open from 12-6pm. Due to the demand & popularity of oysters – PRE ORDER FOR YOUR GROUP before THURSDAY, JUNE 14th so that we will have food for you!